We offer a start to finish approach to a dog’s life. From puppy to adult socialization development with our boarding/daycare facility, high quality holistic dog food and products, and freedom to be an off leash dog in a yard with both training and in ground fence options, dogs are given the best life possible with the most freedom and exercise. We are Jack and Ashley Lelwica. We have been working with dogs since 2010. 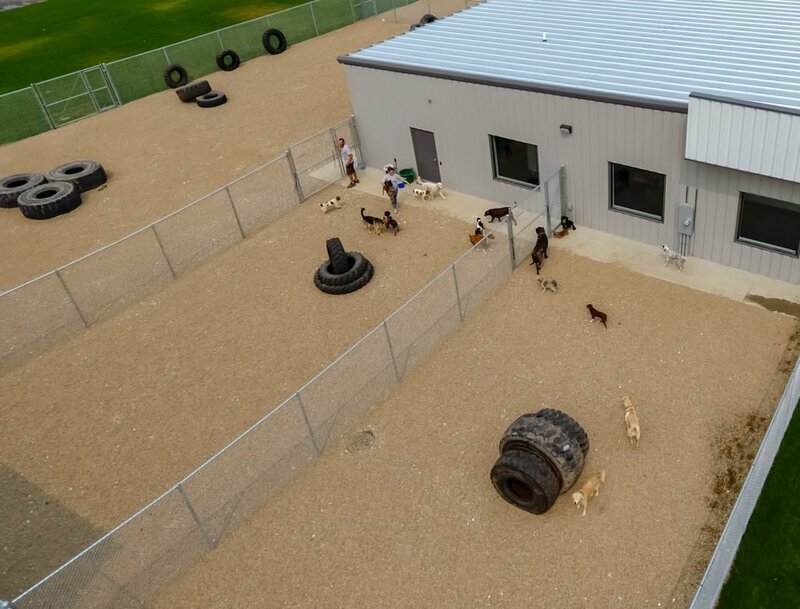 We opened up our first location, Prairie Peak Kennels, with a vision of keeping dogs active. 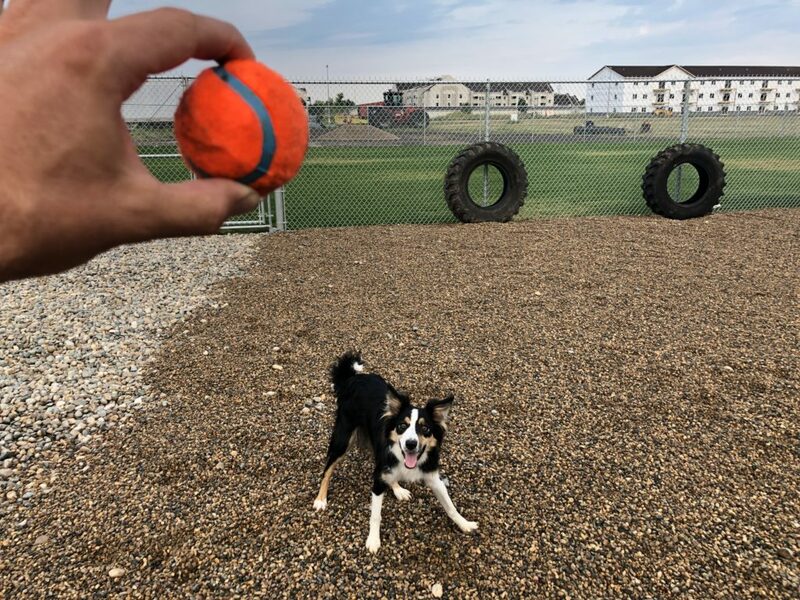 We enjoy running Prairie Peak Kennels so much that in the summer of 2018 we decided to continue that vision of active dogs and opened a second location called Fetchers. 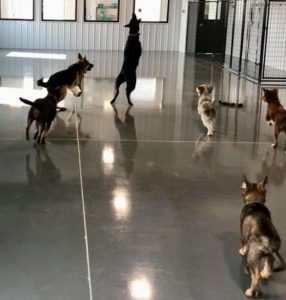 Dogs at Fetchers are able to exercise, play, and socialize in large groups because we understand dog behavior and pack leadership. We are constantly striving to create fun, exciting, and beneficial things to offer you and your dog. The Fetchers story continues with the amazing staff team we have that gives your dog the highest care possible. 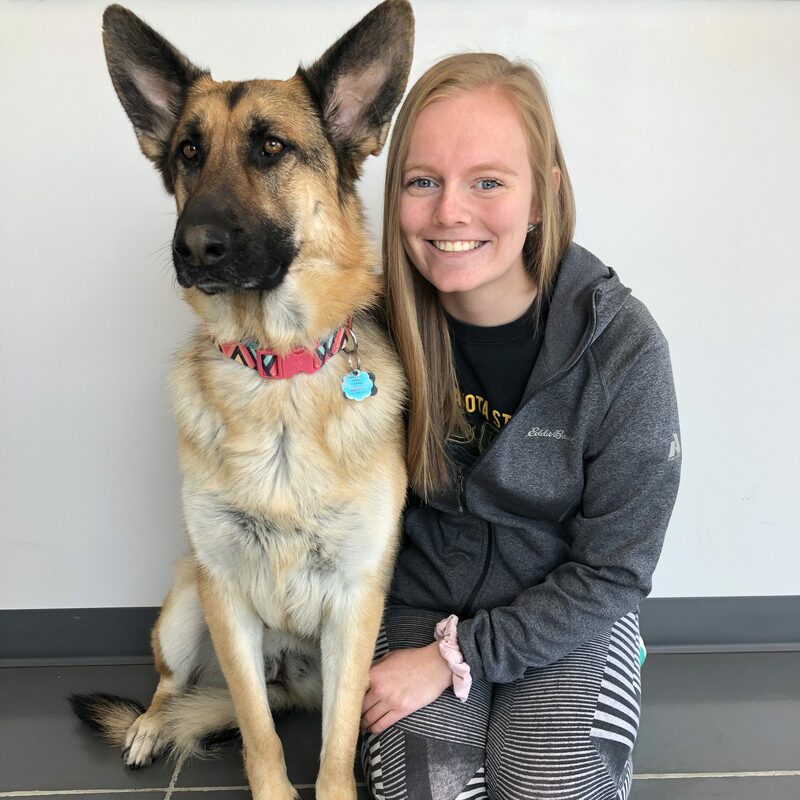 Shannon is the General Manager and she is a licensed Vet Tech with many years experience in the dog boarding and daycare business. 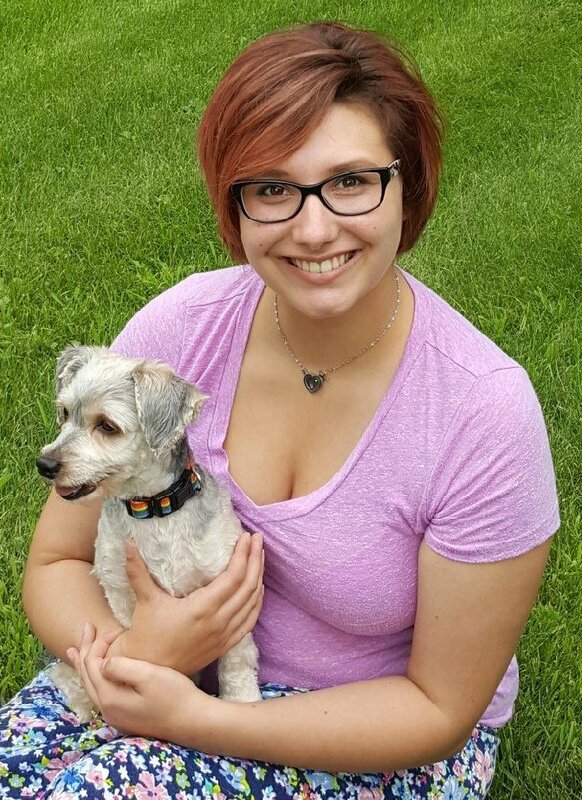 Carley is the Assistant Manager and she is a dog behaviorist/trainer and is Fear Free certified. Both managers have veterinary experience as well. What an amazing duo that provides the best experience for your dog! Fetchers is located at 3521 39th St S Fargo, ND 58104. We are just seconds off of the I29 and 32nd Ave S exit. 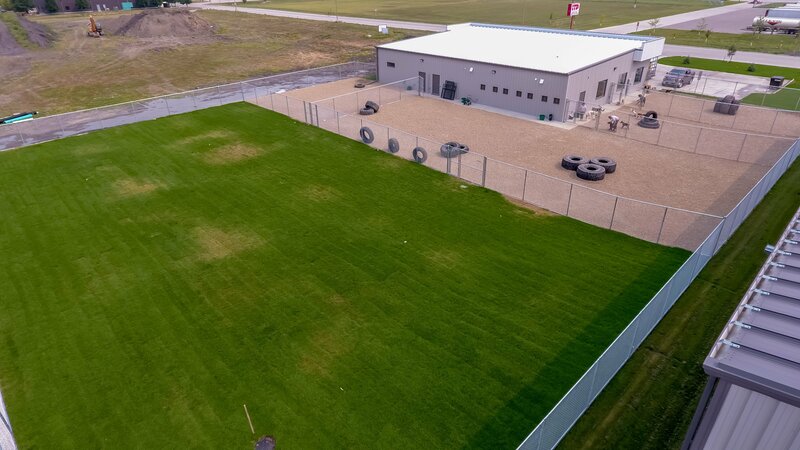 We have a brand new state of the art facility that opened August 2018! Fetchers has a full acre for dogs to use to romp, roam, and explore. We have large fenced in play areas both outdoors and indoors including a football field sized grassy play area and many obstacle courses. We cater to each dog's individual needs and keep them in the area that they feel most comfortable. We have a variety of kennel sizes to fit your dog's needs. From small no contact kennels with soothing "Fear Free" colors to large 3+ dog kennels and private secluded suites. We also have air conditioning and an air exchange system so the temperature stays consistent and there is always fresh air circulating throughout the facility. 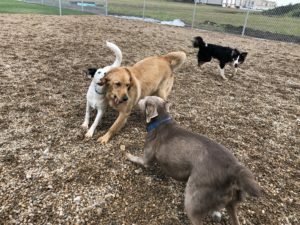 There are 5 large fenced small rock and grassy areas where dogs will be separated into like kind groups based on size, gender, and temperament. We want your dog to smell the fresh air and enjoy the sun! This type of boarding & daycare experience is the best kind! Fetchers has a large open area indoors where we have movable partitions to separate small and large groups. There is also air conditioning and air exchanging systems to keep the air fresh. We have fun activities and toys for the dogs that like to play inside! Hello! I’m Shannon and I am the manager of Fetchers. I am a veterinary technologist with many years of professional experience caring for dogs. I have a Pomeranian named Zander and an orange Tabby cat named Kevin. My mission is to give your dog the best home away from home. Hi! I’m Carley and I am the assistant manager of Fetchers. I have a bachelors degree in Animal Science and I am certified in dog training. I adore Aussies and I currently own a Miniature Australian Shepherd named Tex. Since I am Fear Free Certified, it is my commitment to make sure every dog’s experience is the best one possible. Hello everyone! I’m the Dog Groomer at Fetchers. I have 3 years of academy trained bathing/grooming experience and am positive reinforcement training certified. I have a 1 year old real baby, Calvin, and 4 furbabies: my MorkiePoo, Pippin, and 3 cats, Luna, Kiki, and Louise. Dog grooming is my passion and LOVE dogs big and small! Hey there fur parents! I am Rikki, a lead dog handler and training intern here at Fetchers. My love for dogs started the second I could walk with our family dog Buddy. I have a son, Jaxon, and my fur baby Creed. When I am not making sure your fur family is safe and having as much fun possible, I love to work on training Creed and spending time outdoors with my family. Hello! I’m Emily, a lead dog handler at Fetchers. My love of animals started early but ultimately fell on dogs. I started working at dog boarding facilities when I was 16 and doing dog agility at 14. 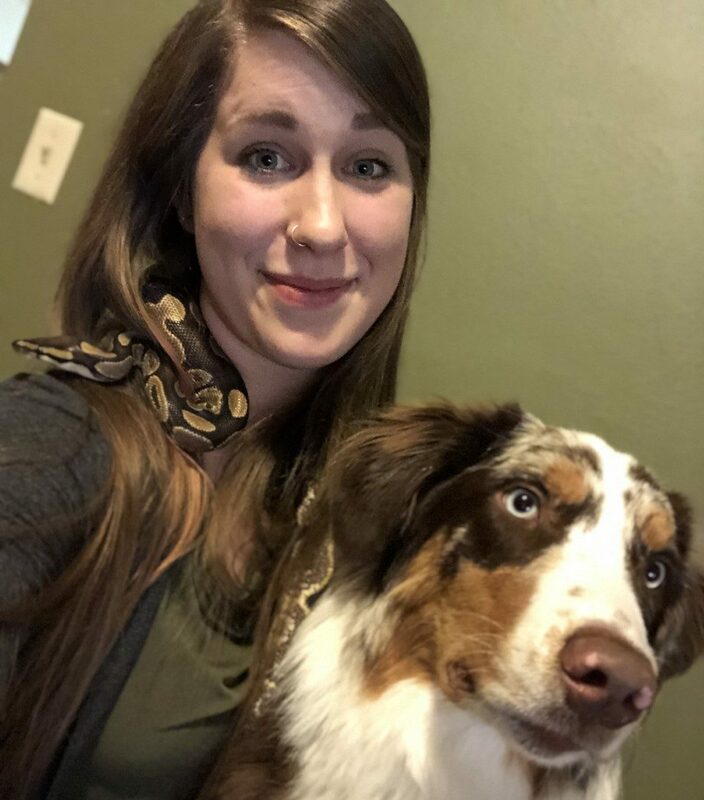 I now own an Australian Shepherd, Tango, and Ball Python, Nevy. I am committed to treating each dog as if they were my own at Fetchers! Hey! 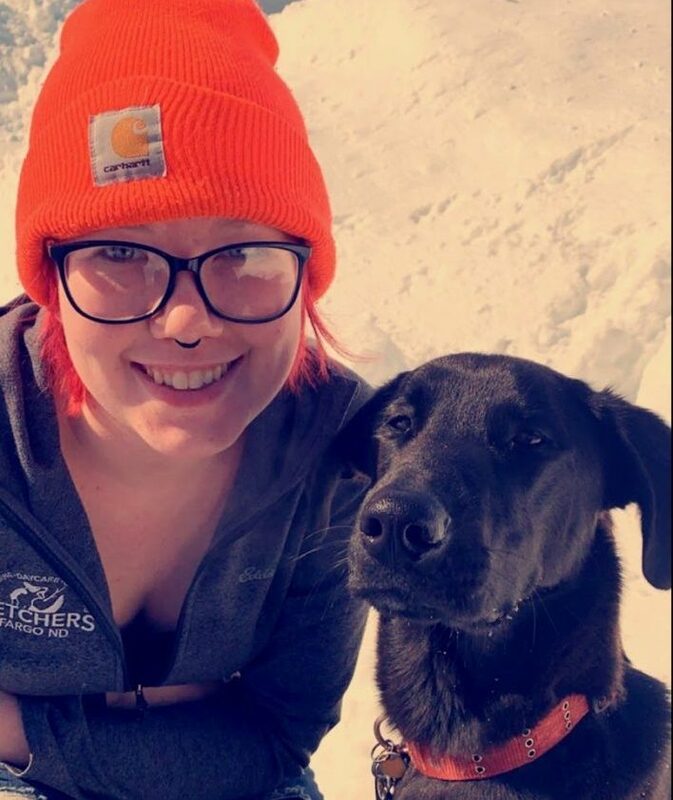 I’m Cheyenne and I’m a dog handler at Fetchers. I’m going to school for a Bachelors in Animal Sciences and Business minor. I have two hard working, sweet Border Collies named Macie and Tuff which we have a litter of puppies out of each year! I love being able to meet all the different kinds of dogs along with their personalities that make them unique and loved so much by their owners. 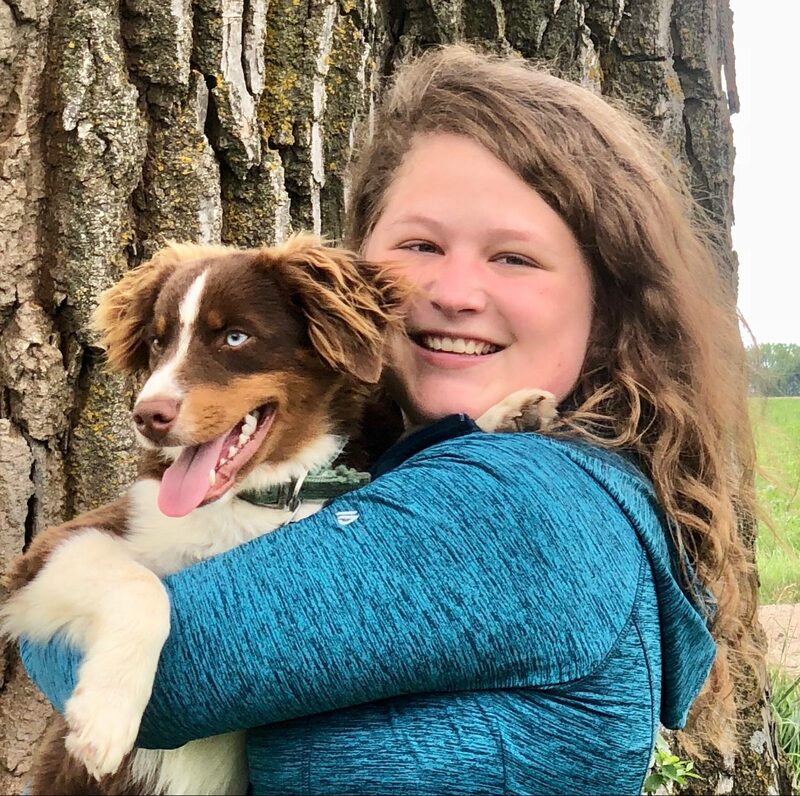 Hi, I am Lindsey and I am Dog Handler at Fetchers! I am attending NDSU working towards a bachelors degree in animal science. 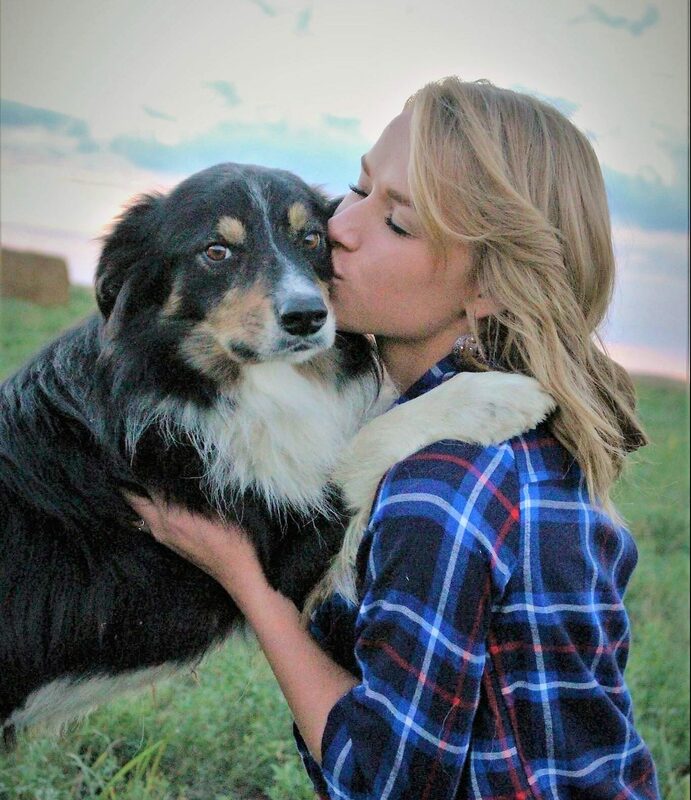 I have a passion for working with animals such as horses and cattle, but also dogs! I will love your dog like it’s my own! I’m PAW-sitive your dog will love it here! At Fetchers, we encourage people to discover their calling in life. If they believe it to be dog related, we are happy to help you learn more about dogs and the kind of care they require. This is application/interview based and these spaces are limited. Hi dog owners! I am Jack the co-founder of Fetchers. I am a professional dog trainer, behaviorist, and nutritionist. 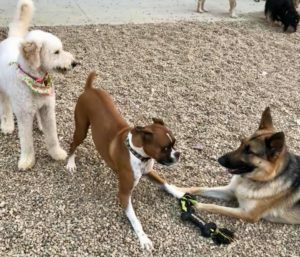 I am here to help teach the Fetchers team, dog owners, and community about being a confident leader among your dog pack. This allows dogs and owners to get the most out of their relationship. I enjoy pheasant and grouse hunting with my dogs and just walking off leash with our 5 dogs through nature. Hey dog lovers! I am Ashley, the co-founder of Fetchers. I am here to help serve you and your dog to ensure they have the best life possible. My favorite breed is the Pembroke Welsh Corgi and my favorite animal activity is riding my horse while my dogs run along side off leash.